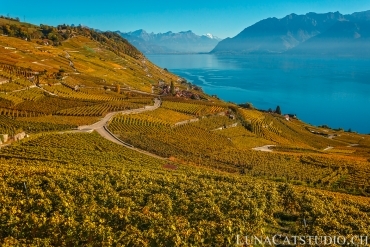 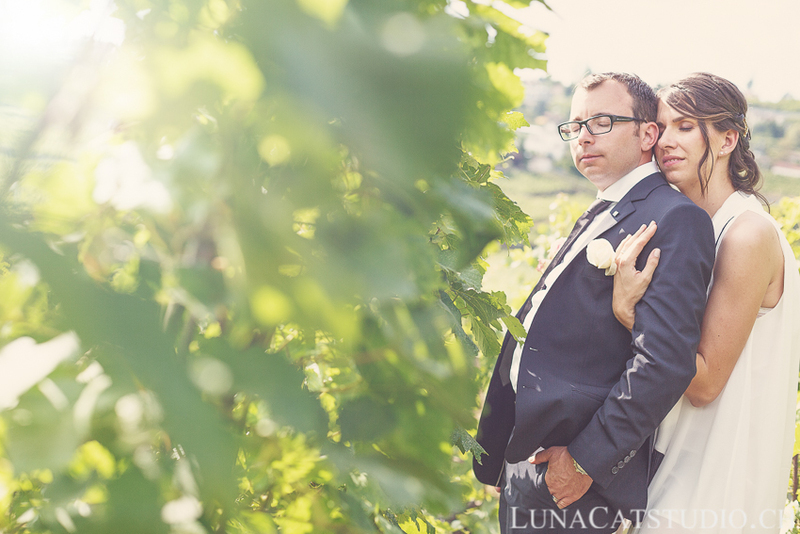 You already know the couple Brenda and Frédéric from their engagement session that was held in the Swiss Lavaux and on the shore of the Geneva Lake in Cully. 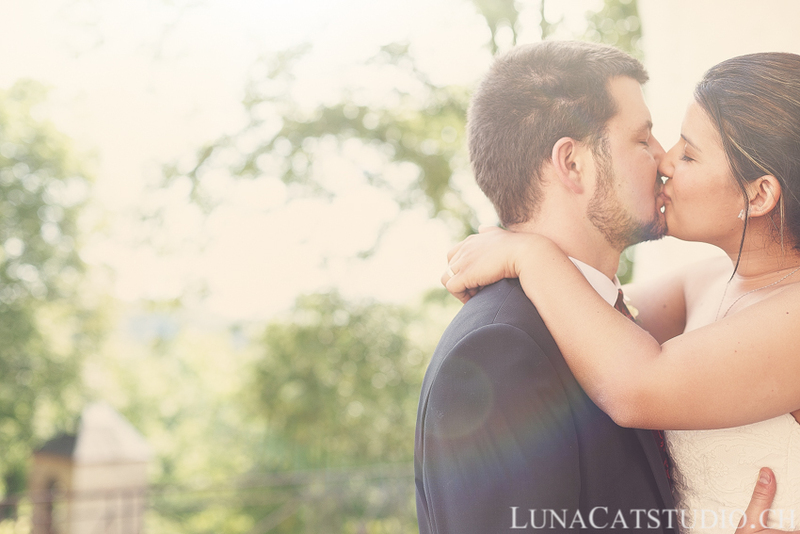 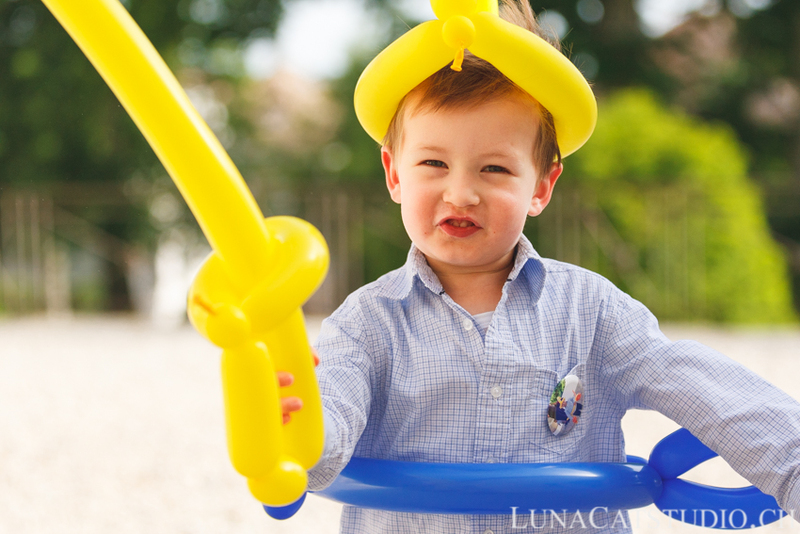 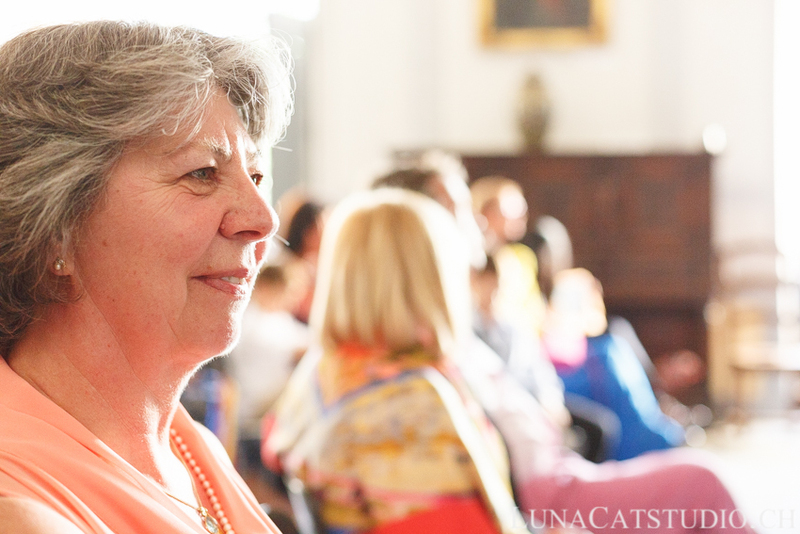 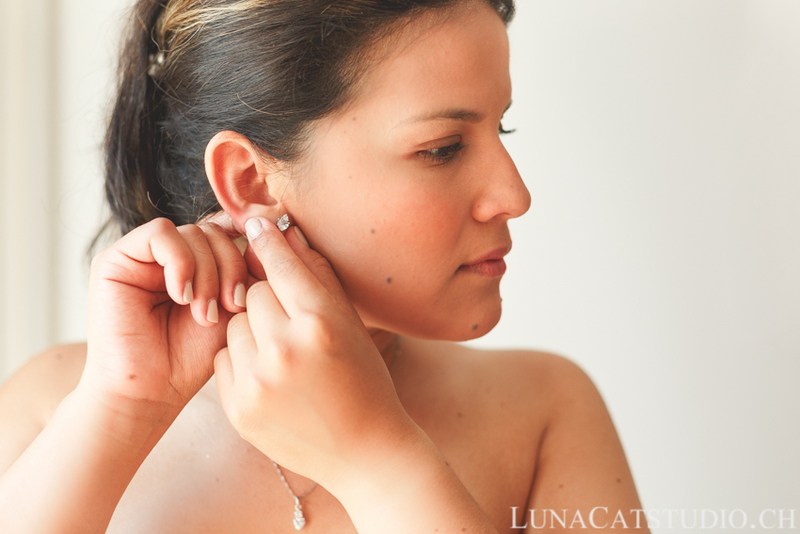 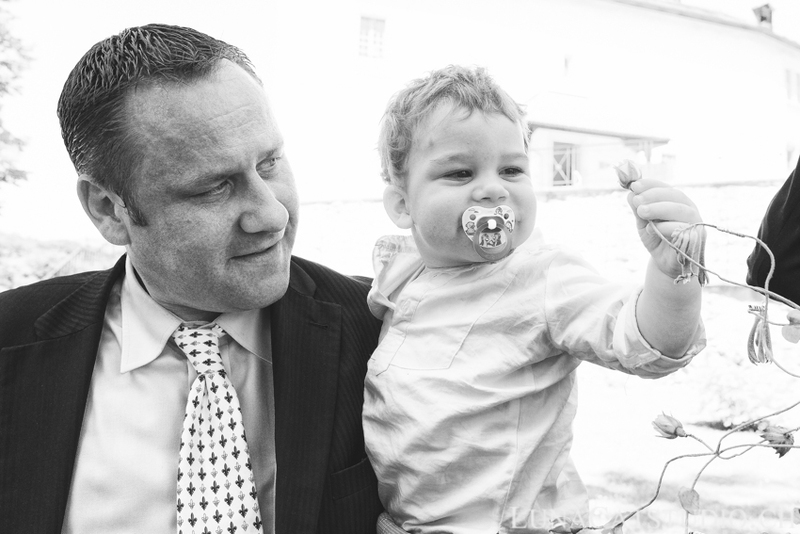 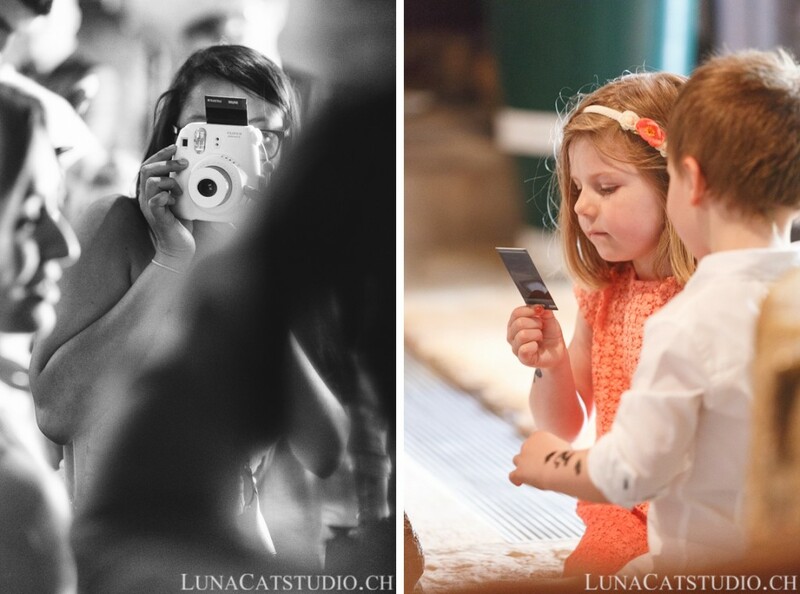 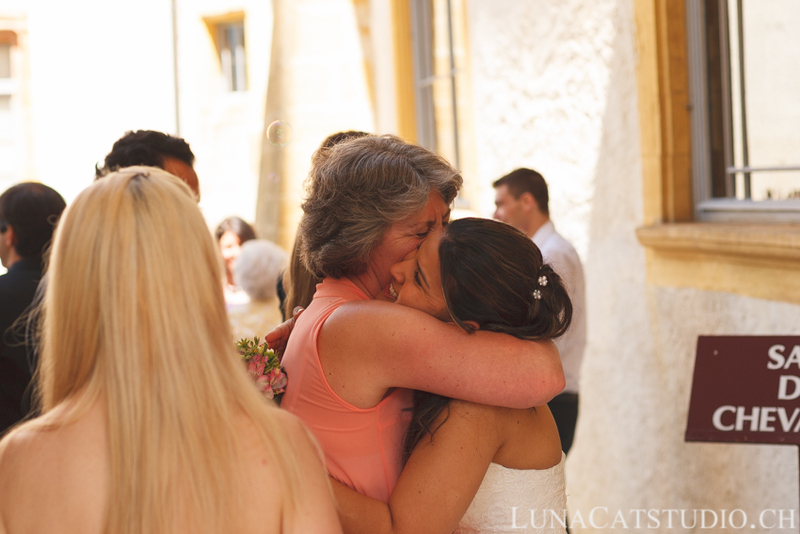 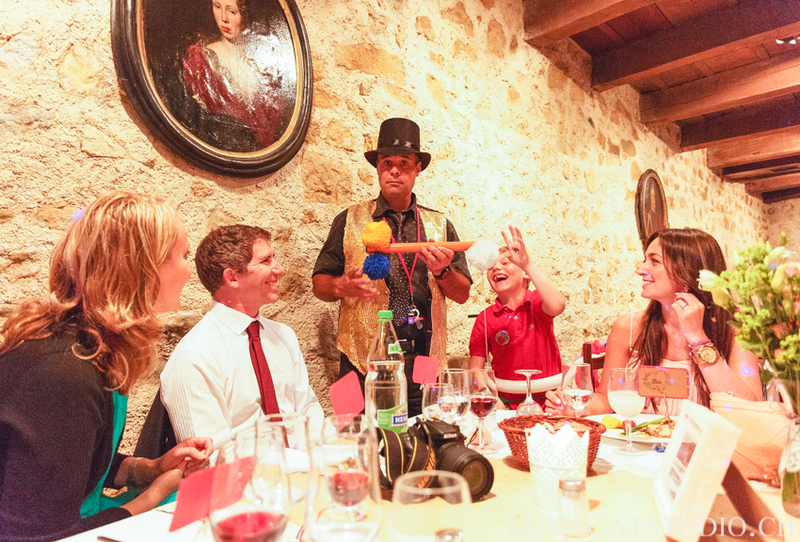 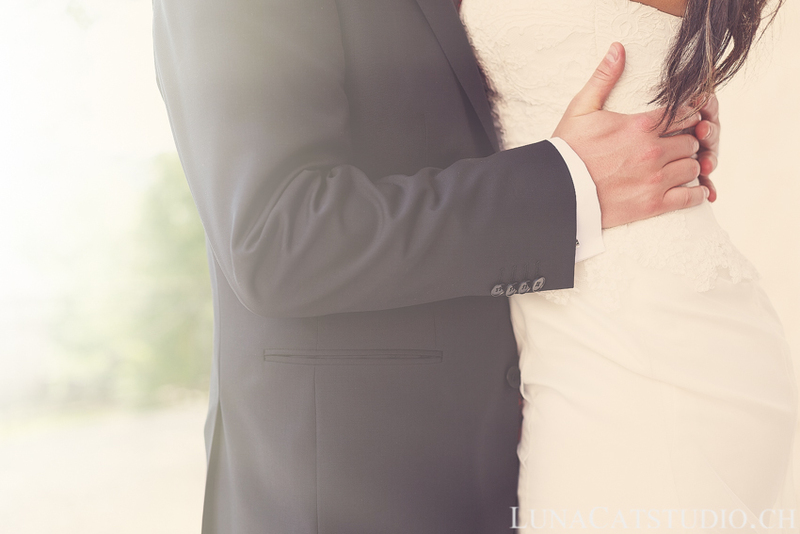 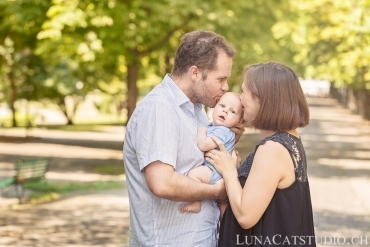 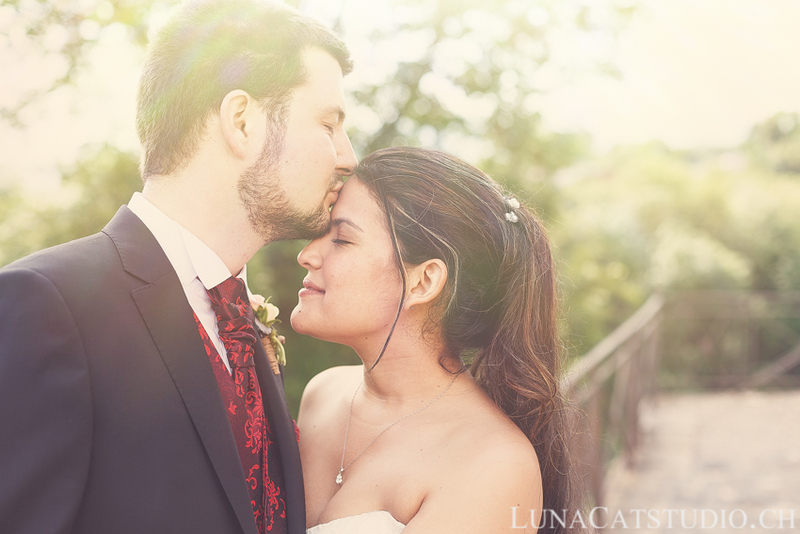 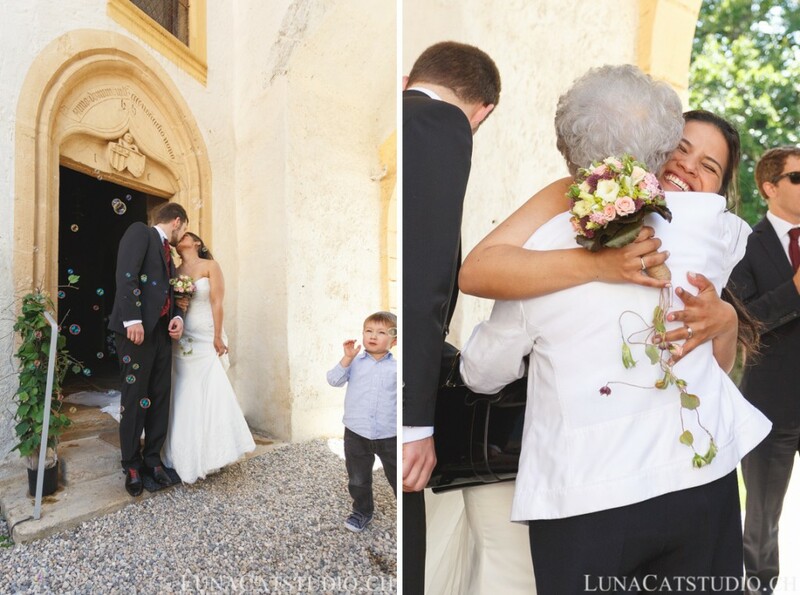 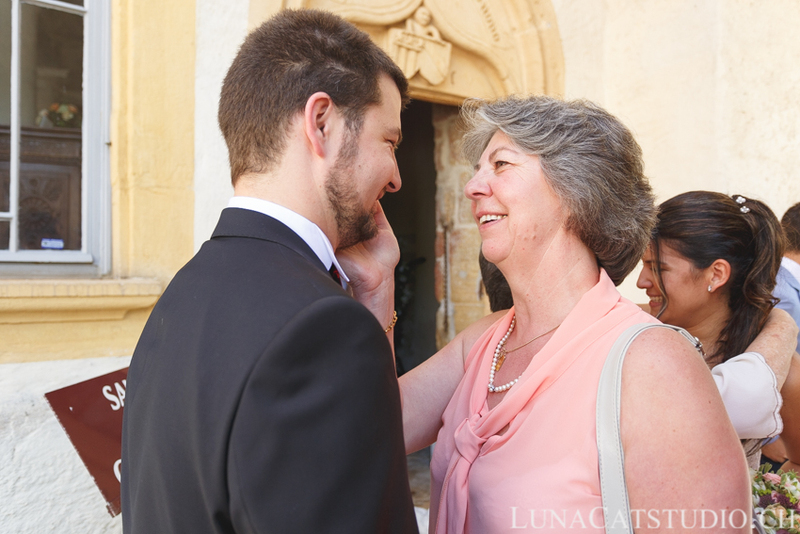 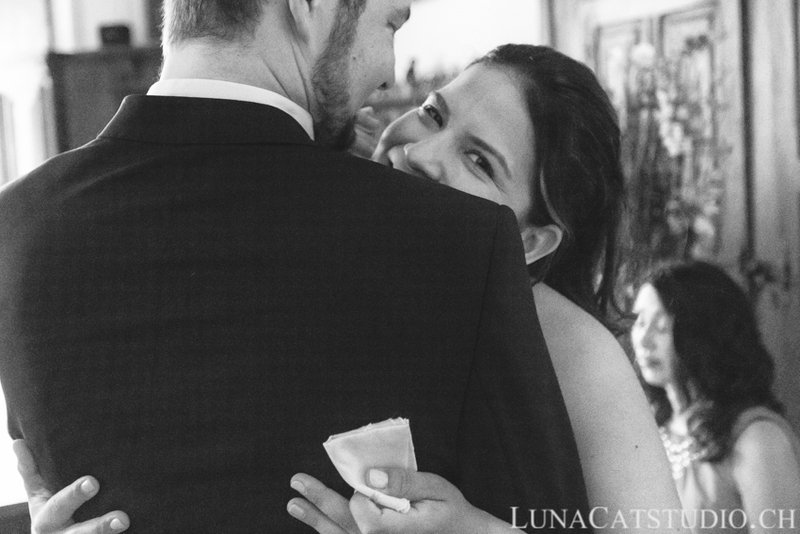 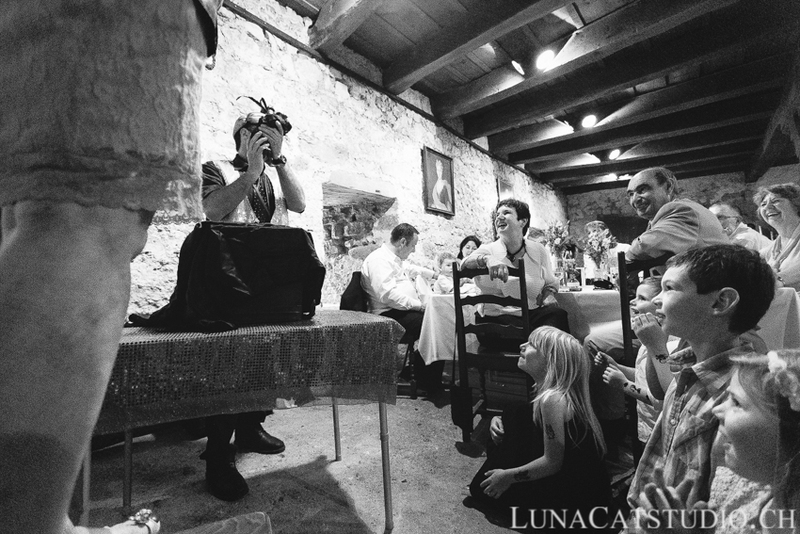 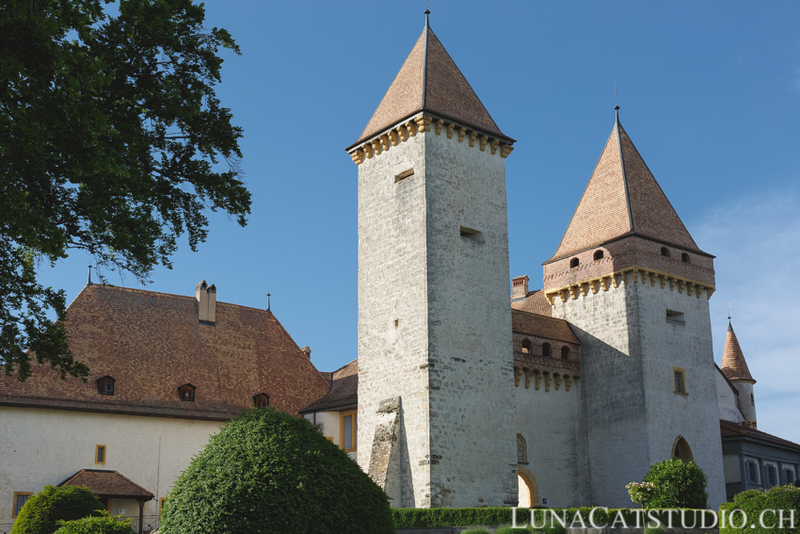 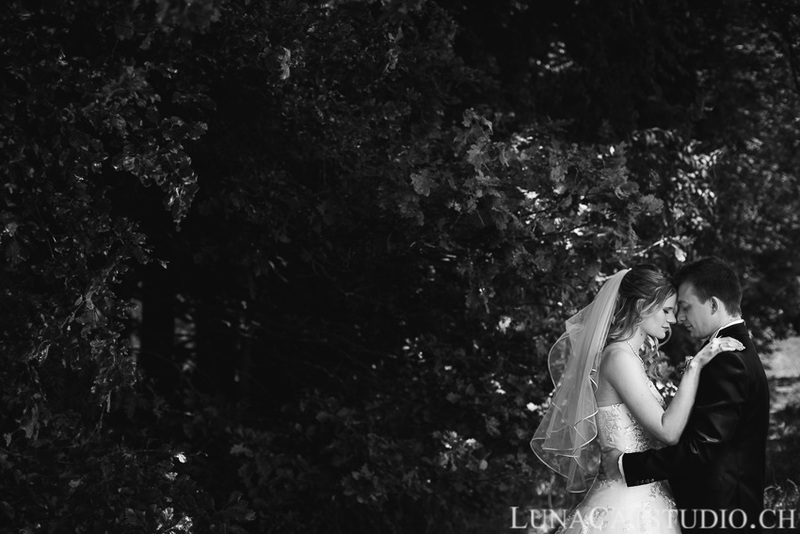 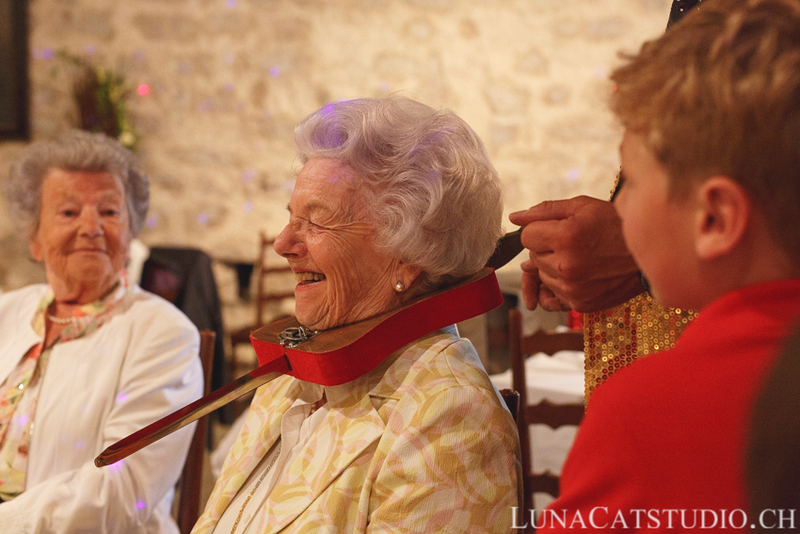 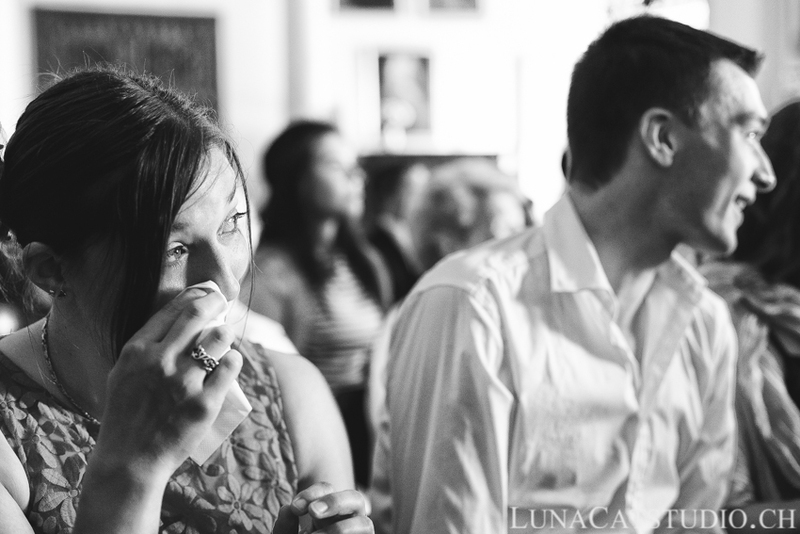 On June 7th, it was their wedding day with a beautiful familiy wedding at La Sarraz Castel. 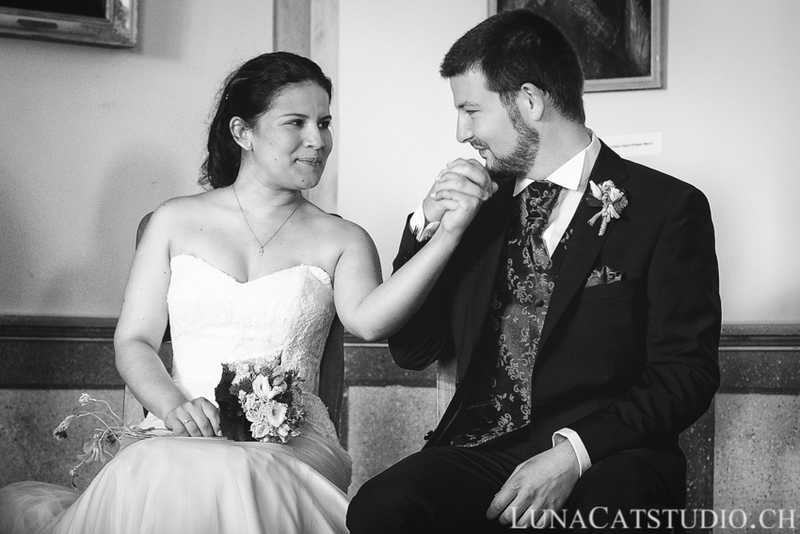 I was greatly honored of accompanying this beautiful couple and make their wedding photos that will cross the Atlantic ocean to reach Colombia so that Brenda’s family can enjoy the wedding since they could not make the travel to Switzerland. 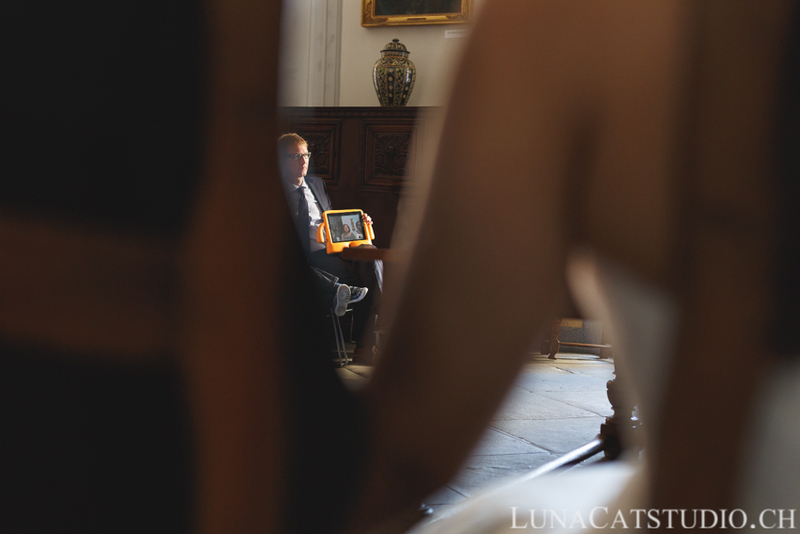 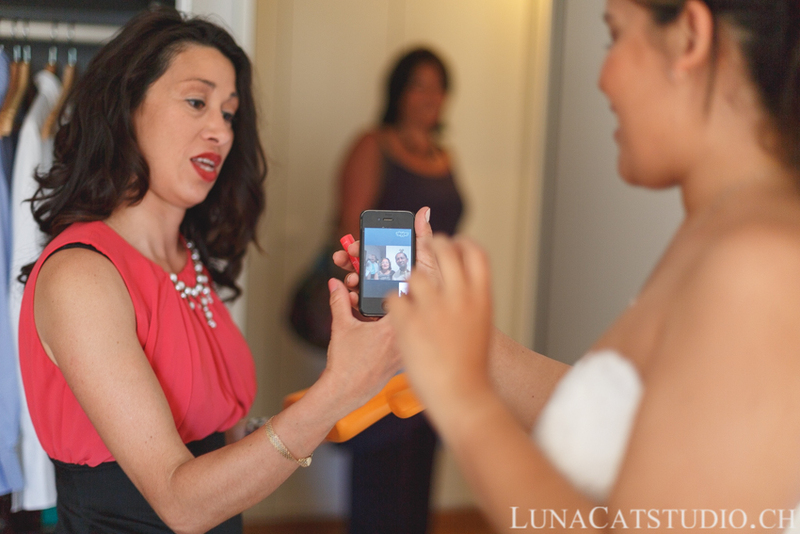 I loved seeing them use Skype before and during the wedding ceremony so that Brenda’s family could accompy her during this wonderful moment. 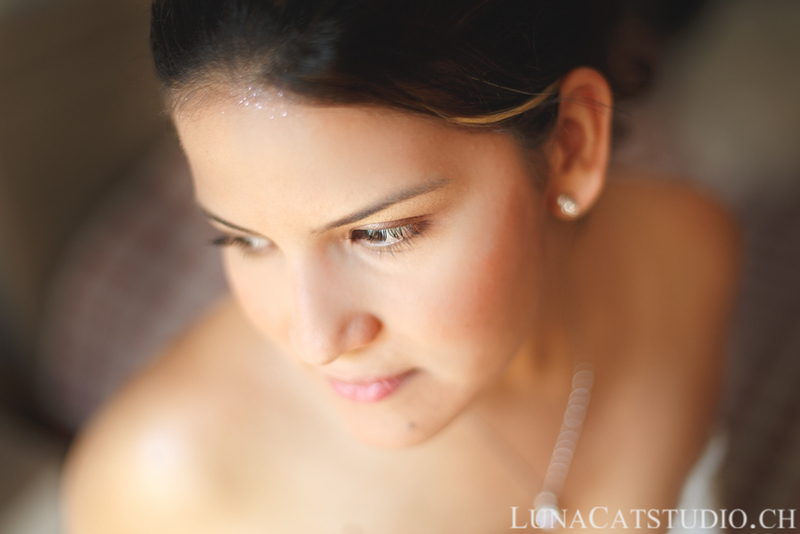 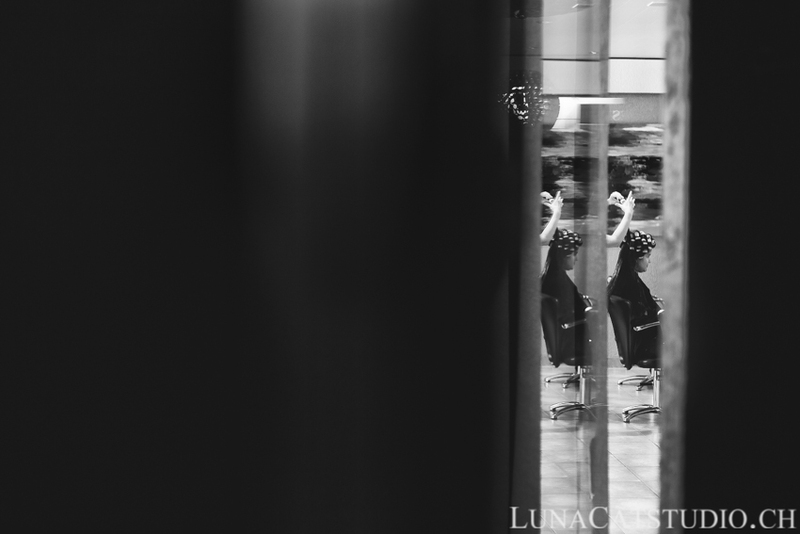 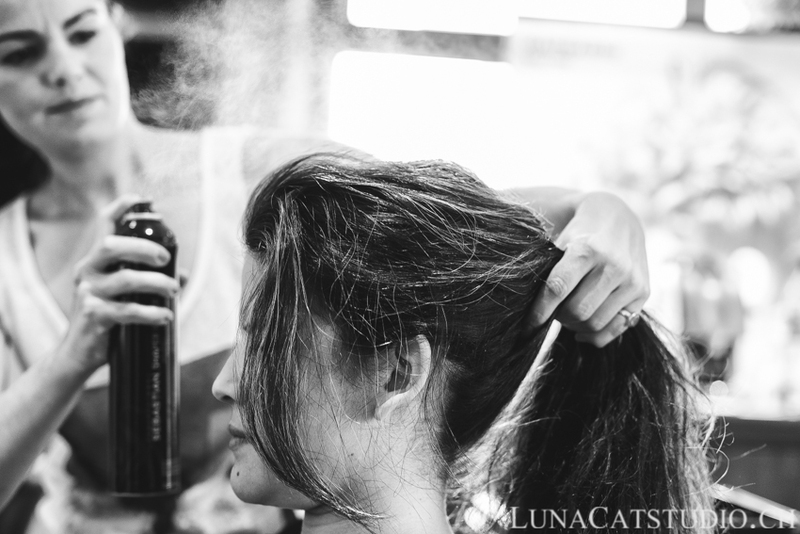 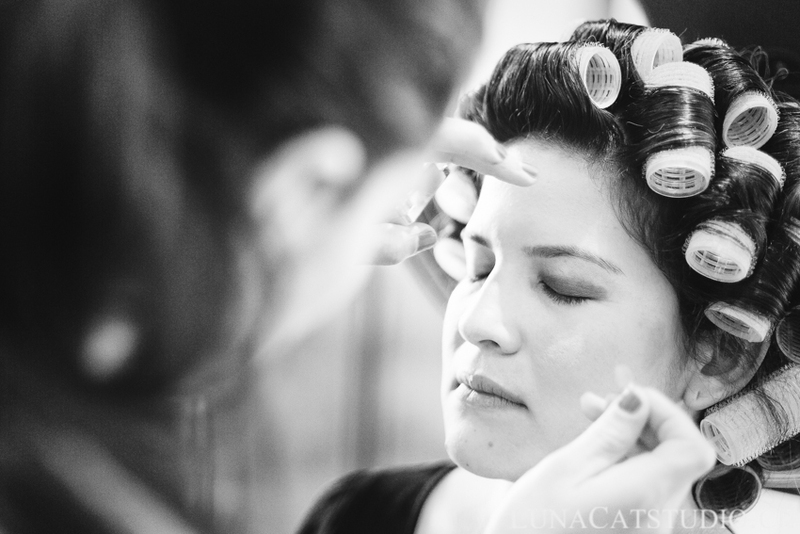 The day began with the bride’s preparation at Hair du Temps in Morges where Brenda got her hair and makeup made. 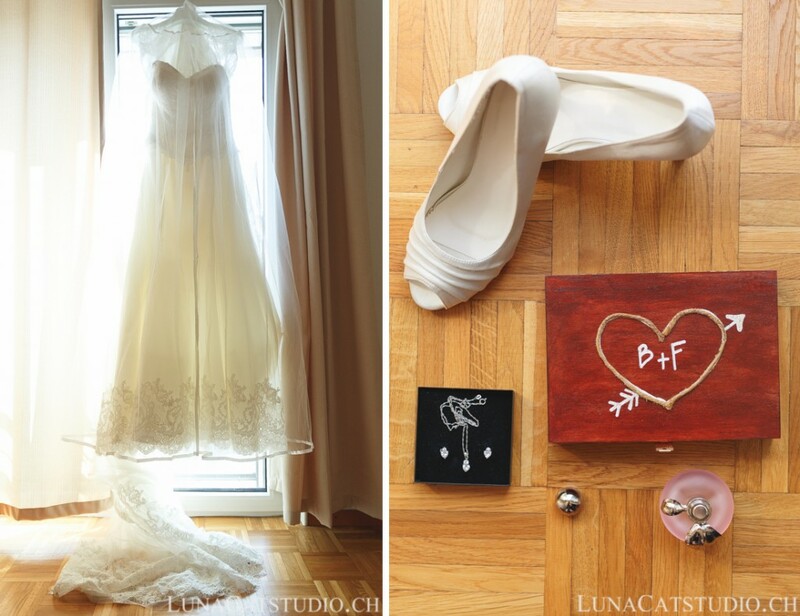 We afterwards came back to her flat to finalize her preparation pictures with details of the day photographying her wedding dress, the bouquet, her jewelry and also the wedding rings! 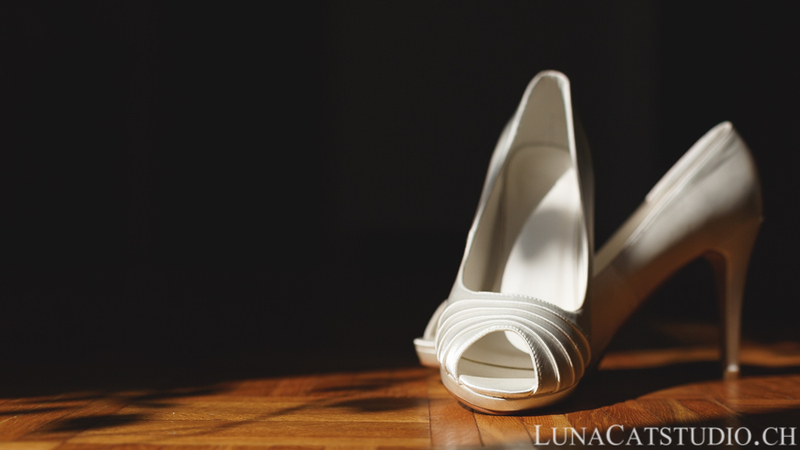 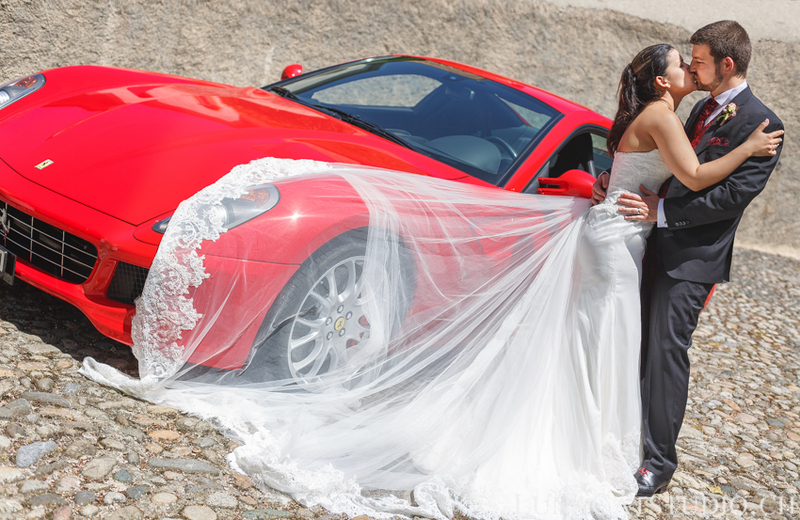 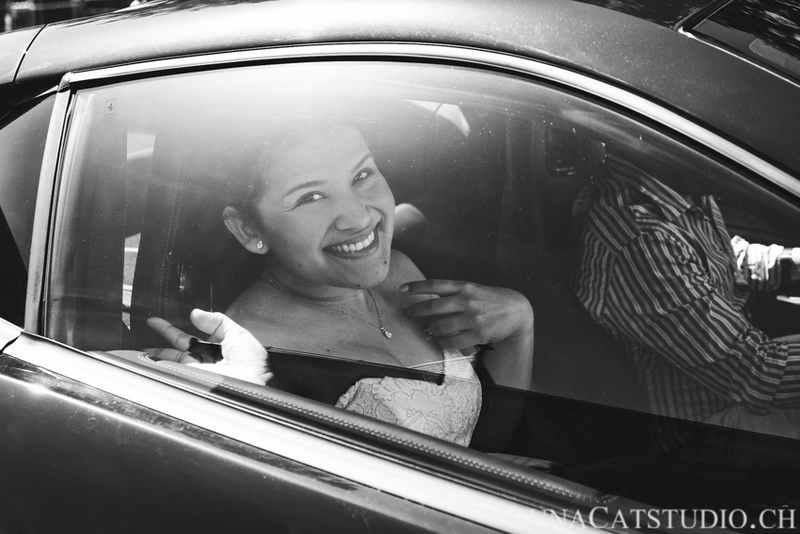 A big emotion ran inside the room when Brenda could show herself in her Pronuptia wedding dress to her family using Skype before getting inside the car leading her to the wedding venue in La Sarraz. 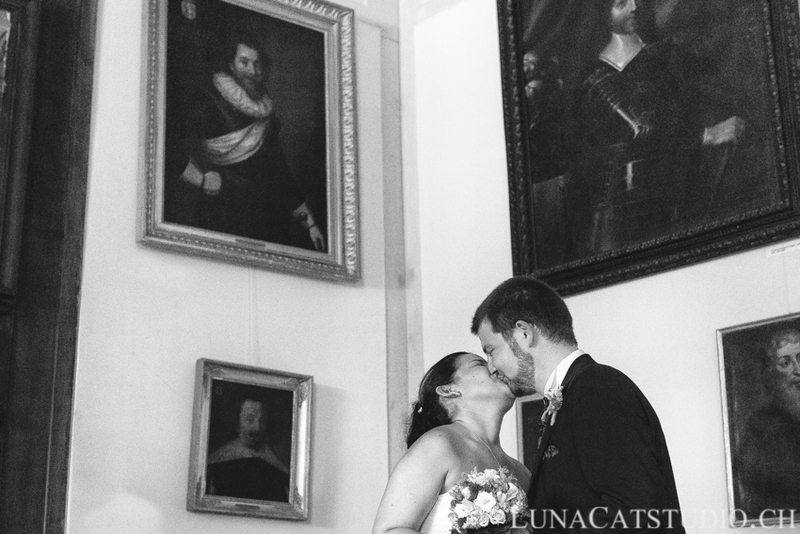 The wedding ceremony took place in the gorgeous room named The Knights’ Room in La Sarraz Castle. 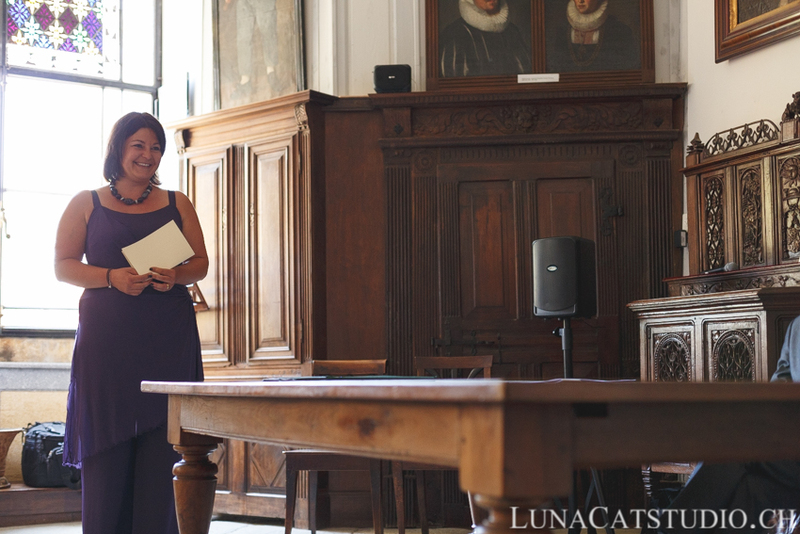 This wedding in a special wedding venue was celebrated by a well-know officiant that I already met at the Portes des Iris last year. 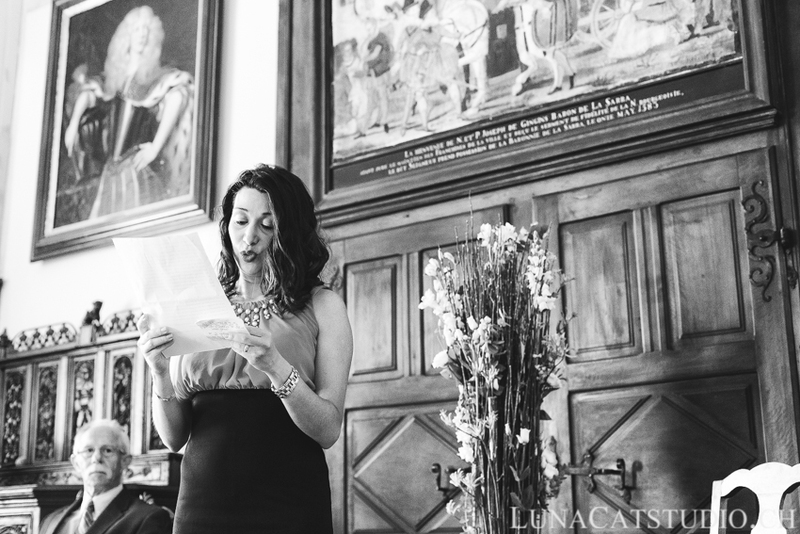 Both French and Spanish were used for speeches for a nice culture mix of Switzerland and Colombia. 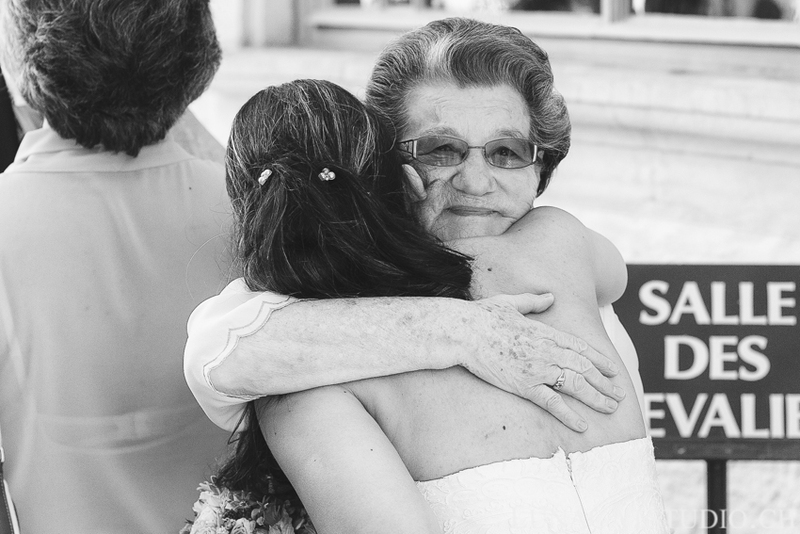 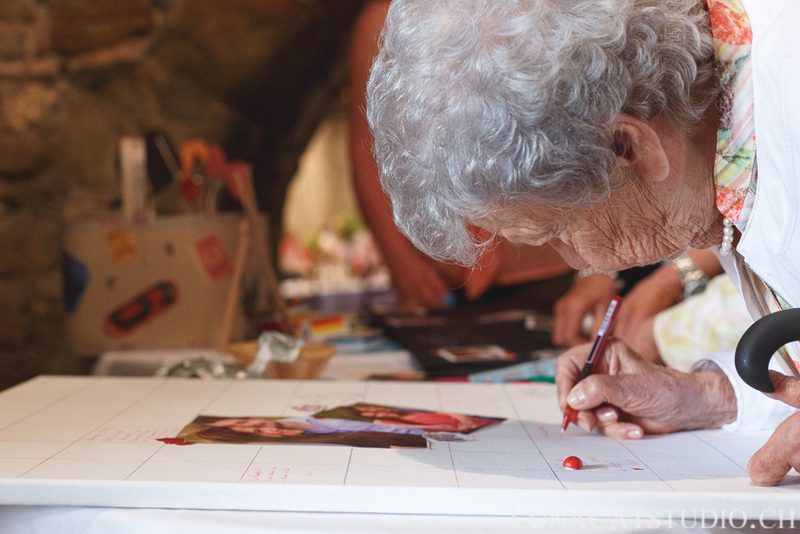 This sweet wedding ceremony was totally moving from the beginning to the end! 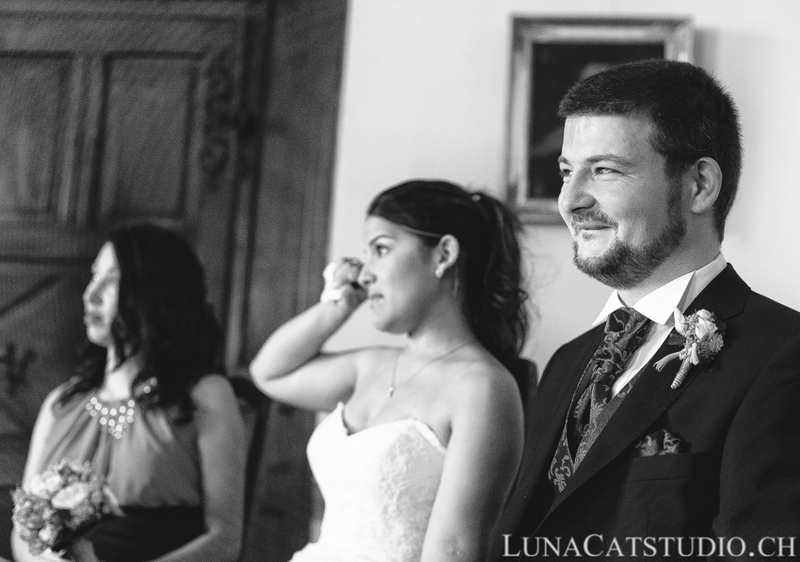 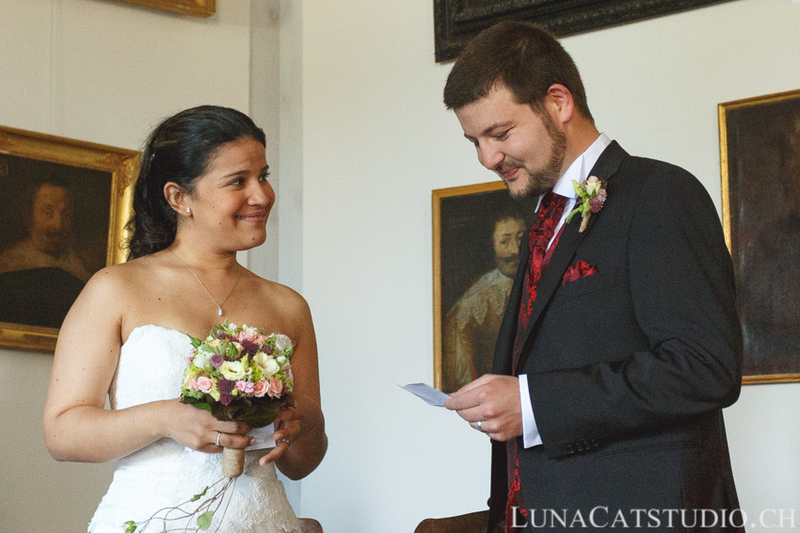 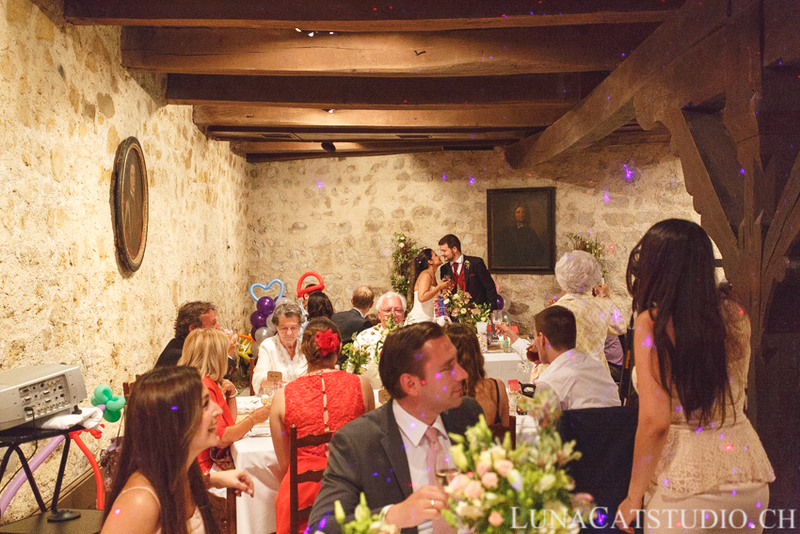 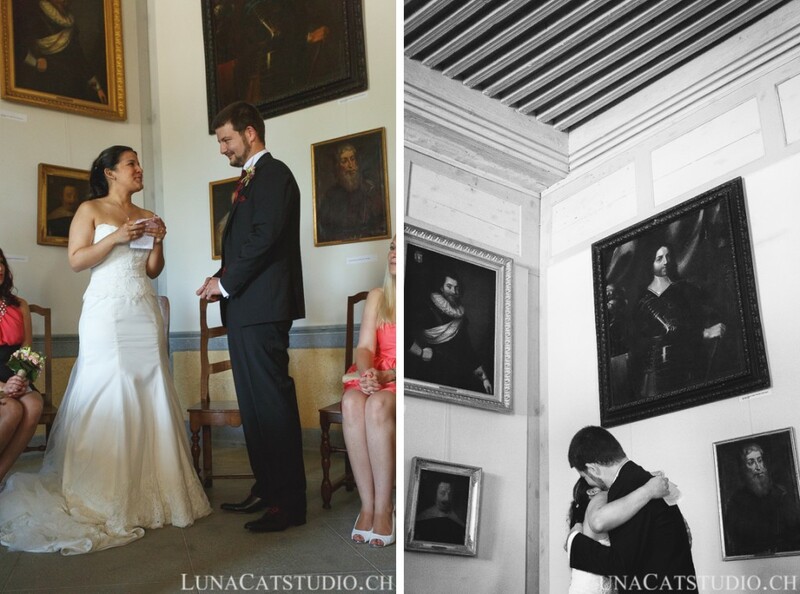 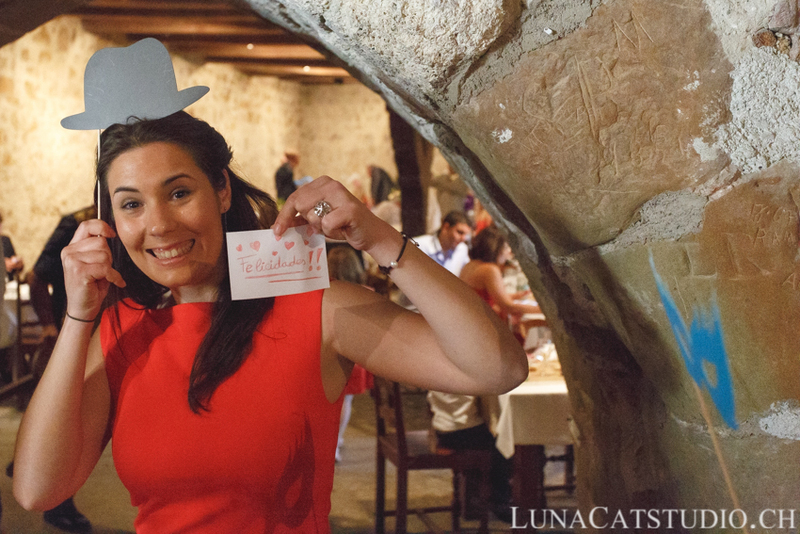 After this emotional wedding ceremony, it was time we went to the reception in the Grand Cellier of La Sarraz Castle. 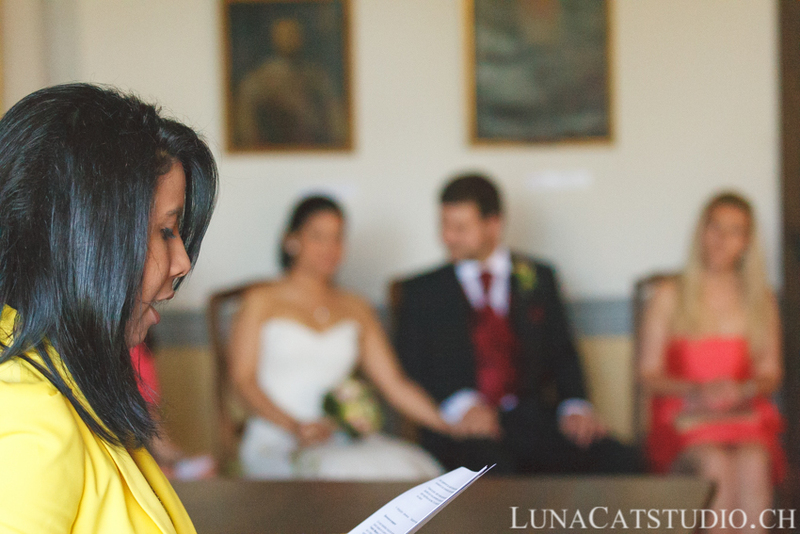 The obvious advantage of holding Brenda and Frederic’s wedding in one and unique venue was to limit travel times and enjoy the day a maximum with their guests. 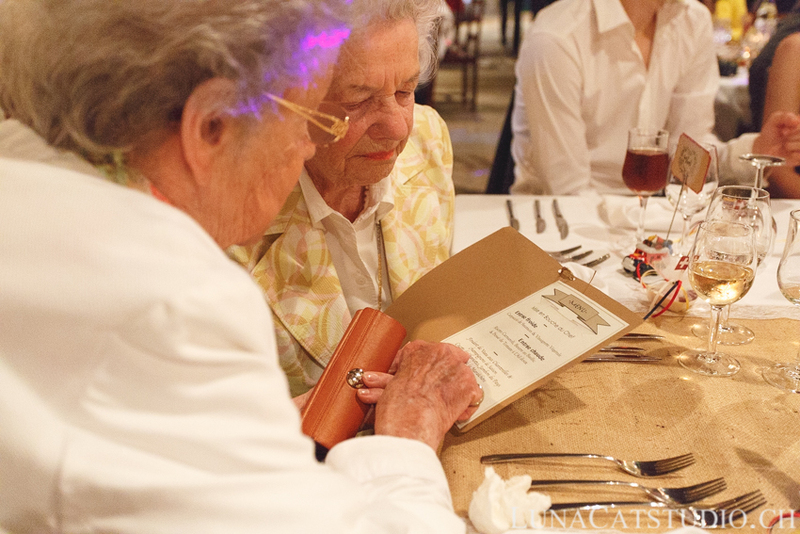 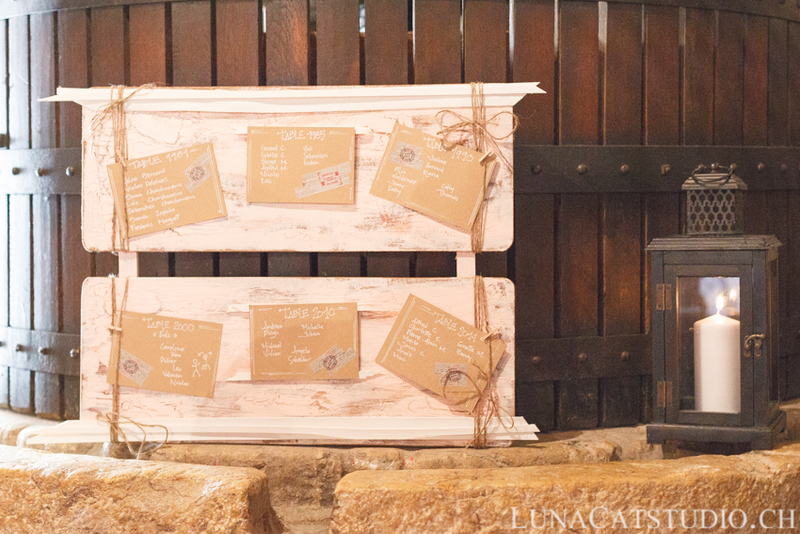 The table decoration was beautifully done by the bride Brenda herself, with a focus on a country and rustic aspect. 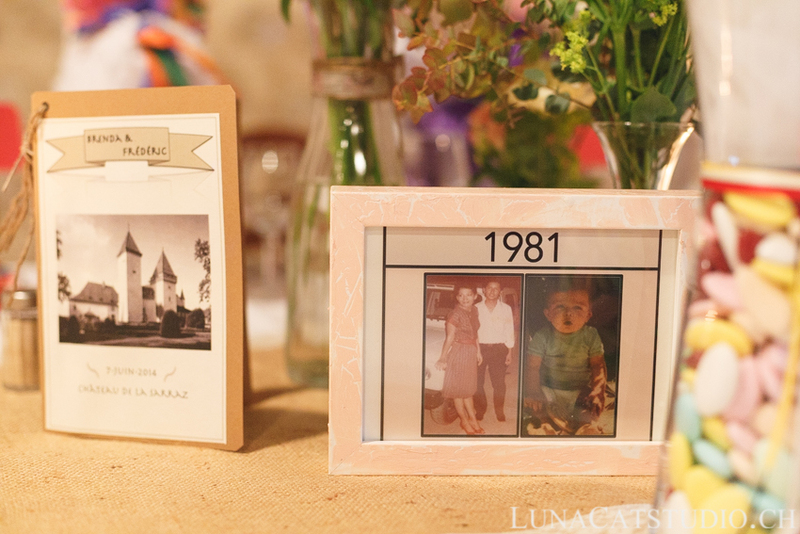 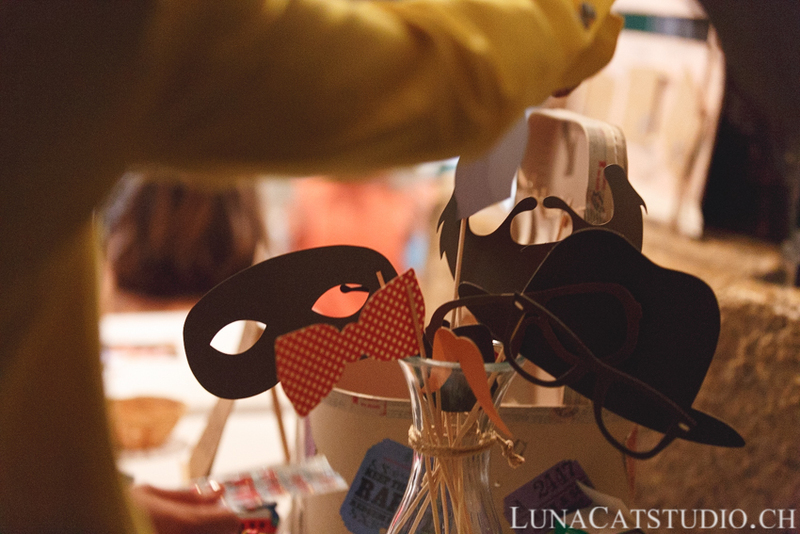 A vendor would not have made something any better than Brenda and her DIY (Do It Yourself) table decoration. 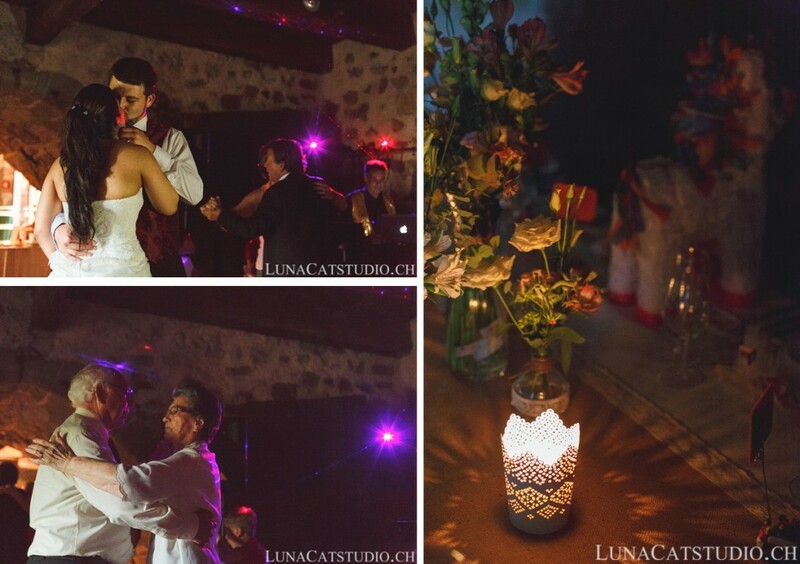 The uniqueness of her decoration also relied in the details about their mix of cultures with both Colombian and Switzerland on the tables. 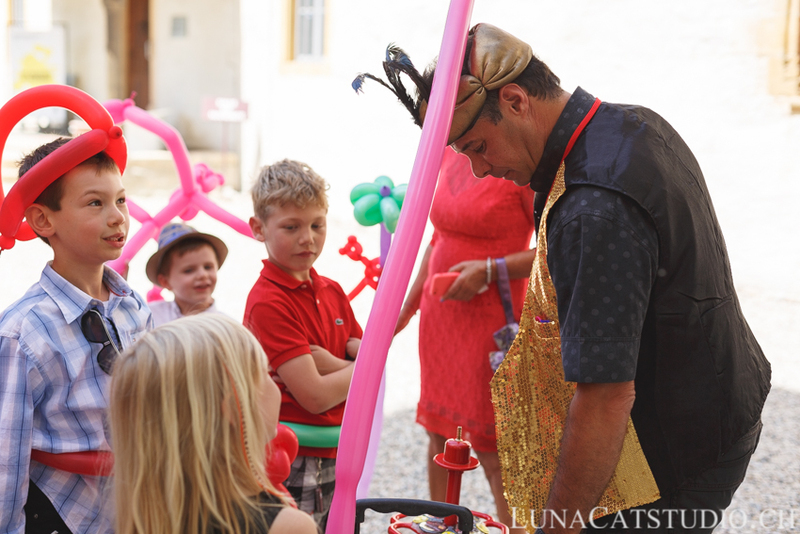 Finally, the groom’s father had also made a surprise by hiring the magician Mistigri, for the best enjoyment of children that were having so much fun along him! 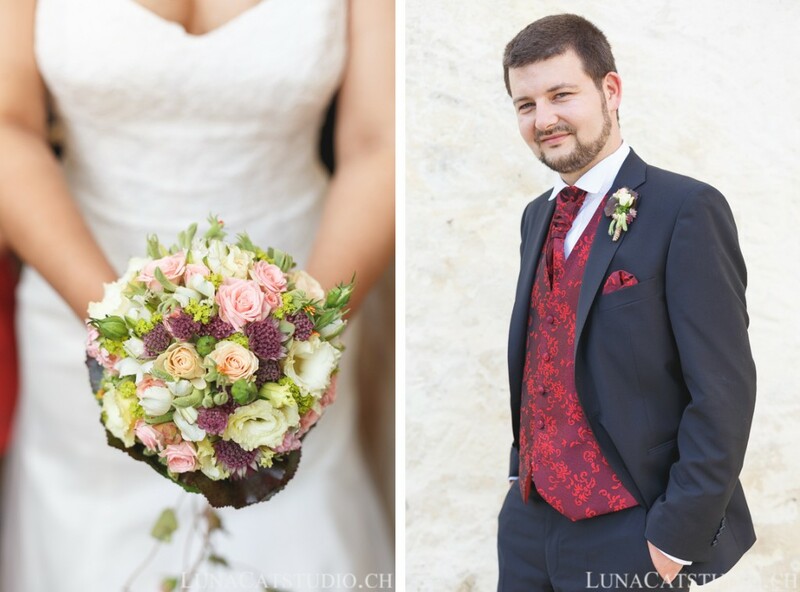 Thanks again so much to Brenda and Frédéric for their wonderful welcome and all the wedding guests for their lively chats and kindness during this day full of love and emotions.